You know those recipes that just remind you of home? 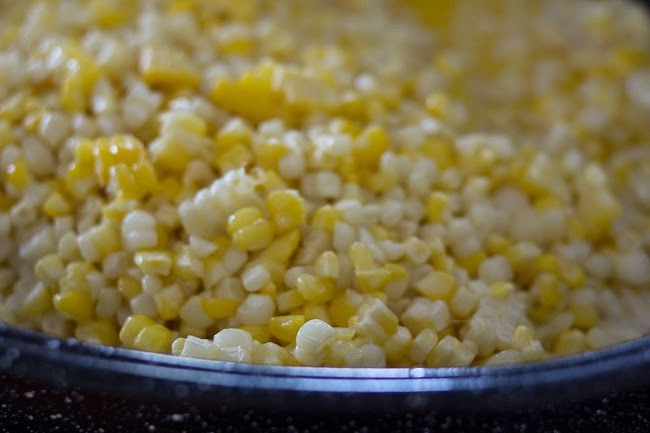 Creamed corn is one of them for me. It reminds me of Me-Me's (my grandmother) house. We could almost always count on it being a side, along with mac n' cheese and a green salad. 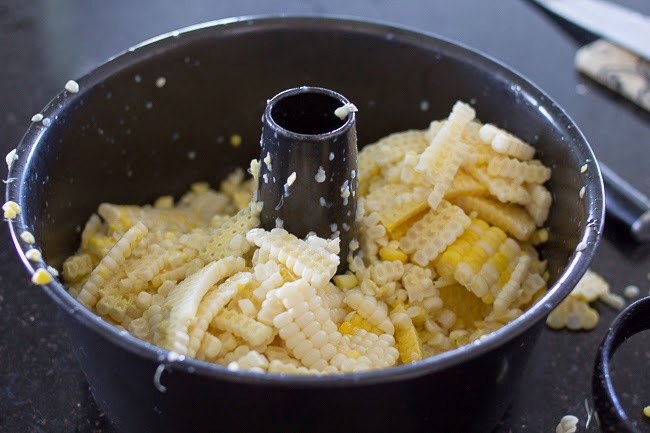 Every August, sweet corn from the field is picked and many gather to shuck, clean, cook and freeze it. Sadly, I'm not typically there for that part (sorry ladies!) 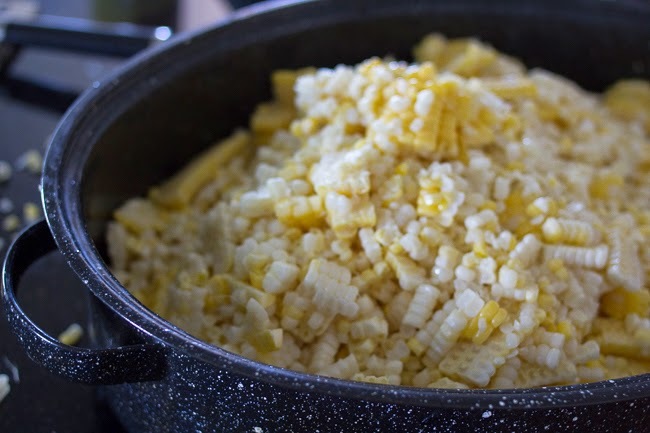 but I do get to enjoy the corn, and depending on how much I'm given, I get to make a small batch of creamed corn myself. That's what I did this year. 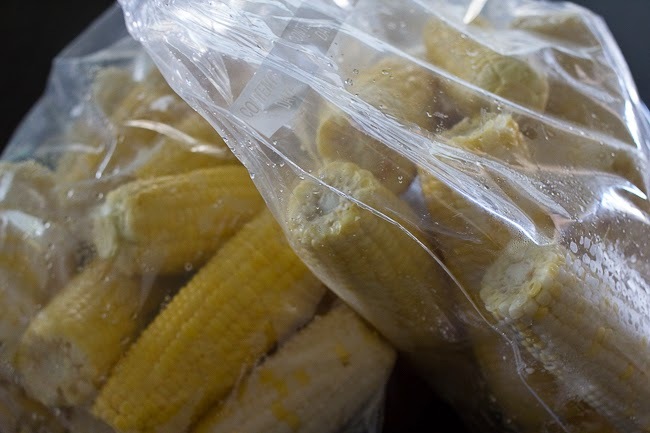 I received 36 ears of corn...perfect for one batch of creamed corn. and add a pound of butter. To that I add a pint of half & half. Then I cook it at 325 degrees for an hour, stirring every fifteen minutes. 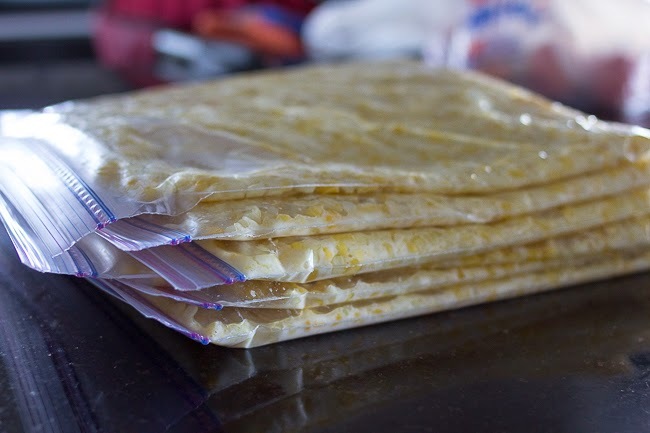 Once it's completely cooled, I bag it in gallon bags. 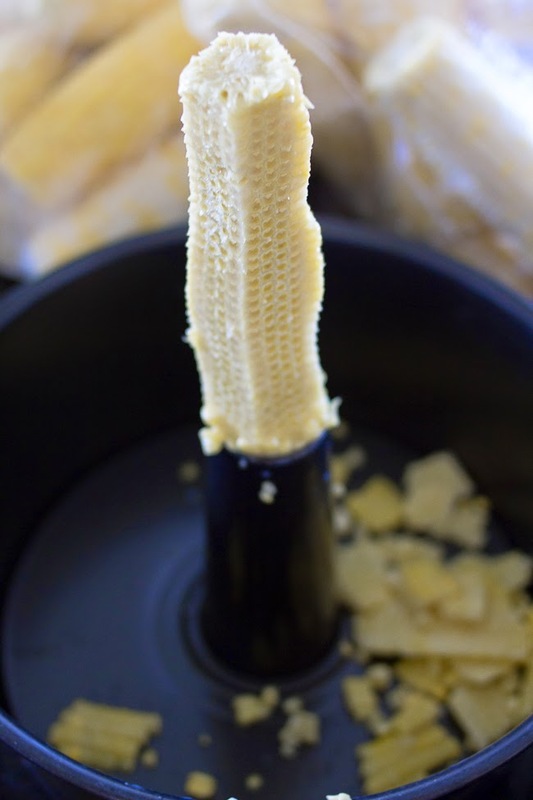 And, it's then frozen for Winter (or whenever else we want a little corn)! 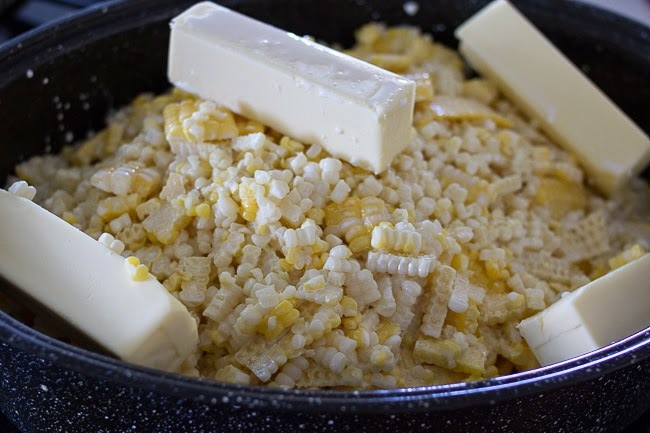 I'm a fan of any recipe that calls for a pound of butter. Genius idea to use an angel food cake pan. 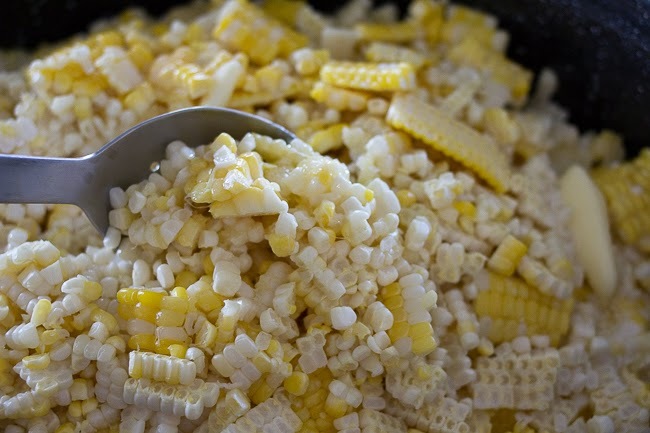 And I love corn. This looks tasty! The cake pan is genius! 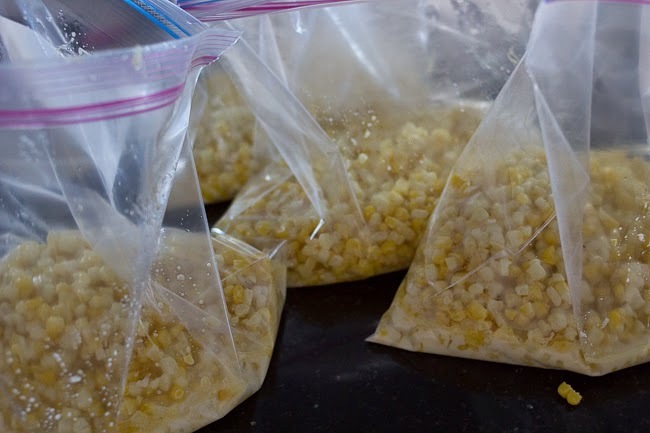 My mom and I already did a big batch of freezer corn this summer. Wish I would have known that sneaky trick earlier!